Argosy Casino Hotel & Spa now offers a golf package with Shoal Creek. Make your escape and stay at the AAA Four Diamond luxury, Argosy Casino Hotel and Spa. Before you tee off in the morning, enjoy a bountiful breakfast in the Terrace Buffet. Then play a round of golf at Shoal Creek. 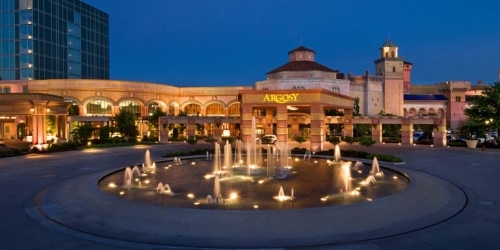 Argosy Casino Hotel reserves the right to change price and offer at anytime. Prices and offer are subject to change without notice. GolfMissouri.com is not responsible for errors posted in this golf package.